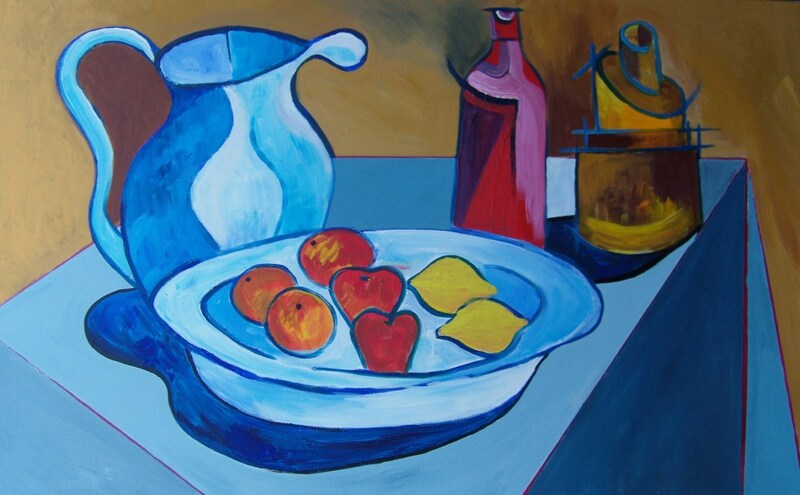 A still life based on flat collages that are worked into with pastel. The resulting picture is then painted using simple, basic, flat colours which are brought to life with heavy defining lines. 9" x 14.5"11" x 17.75"14" x 22.75"